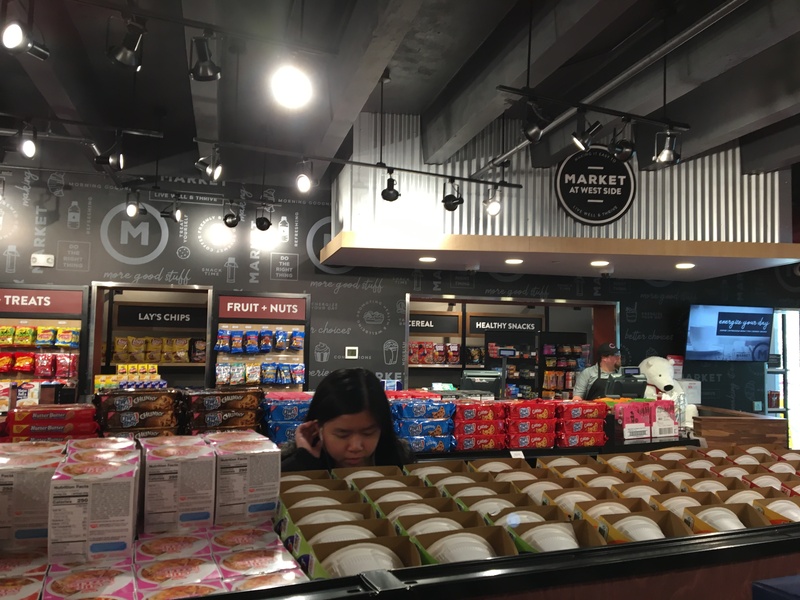 The Market at West Side Dining reopened on Nov. 25 after being closed for renovations all semester. “To focus on meeting the needs of students, FSA [Faculty Student Association] embarked on an eight-month construction project to build a brand new 2,100 square foot store,” Angela Agnello, the director of marketing & communications for the FSA, said. Aside from being almost seven times the size of the previous store, the new Market at West Side offers more variety. New products at the store include toiletries like deodorant and baby wipes, cookware, school supplies, non-perishable goods, Hot Grab n‘ Go meals, Seattle’s Best Coffee, Hershey’s milkshakes and a larger fresh produce section. Students can use their Dining Dollars for food items, but non-food items must be purchased with Wolfie Wallet, cash or card. The Market also features a bagel bar in the morning and a salad bar in the afternoon and evening. Musty said she liked that the new market stocked more products that you might find in a grocery store. “The market is like a lifesaver for when I can’t get off campus,” she said. As of Nov. 28, the market has had 1,600 transactions. “The Grab n’ Go items are probably the most popular right now because it’s easy and convenient for students,” Jerry Pastrana, director of West Side Dining, said. The Market at West Side is open Mondays through Fridays from 7 a.m. to 3 a.m., and Saturdays and Sundays from 8:30 a.m. to 3 a.m.
“The hours are incredible because if I’m hungry at 2:30 am, then I can go to the new market and get food,” Jeremy Gordman, a sophomore mechanical engineering major, said.